In the 1960s and ’70s, he wrote books for young adults, nonfiction works on education, magazine profiles of political and religious leaders and essays on racial conflicts and the Vietnam War. He became an activist, too, befriending Malcolm X and joining peace protests and marches for racial equality. ...While his sympathies were usually libertarian, he often infuriated leftist friends with his opposition to abortion, his attacks on political correctness and his criticisms of gay groups, feminists, blacks and others he accused of trying to censor opponents. The obituary doesn't mention it, but Hentoff was also an atheist. The Friendly Atheist acknowledged his death but, sadly, referred to his right-to-life advocacy as a "blemish" on his record. He wouldn't have cared; in his lifetime, he was routinely punished for his pro-life views. But he did what he knew was right, and I hope more will come to know his courage. Hentoff was a consistent voice for the rights of the oppressed, including unborn children, death row inmates, and victims of censorship. In his later years, he served on the board of the Foundation for Individual Rights in Education (FIRE), which protects freedom of speech for college students; although FIRE is officially neutral on abortion, it often winds up defending pro-life students just by virtue of the fact that abortion advocates resort to censorship so frequently. The right-to-life and freedom-of-speech battles are very closely intertwined, and I highly recommend Nat Hentoff's classic Free Speech for Me—But Not for Thee to any pro-life advocates needing a primer on First Amendment issues. In case that wasn't enough, he was also a famous jazz critic, political columnist, Guggenheim fellow, National Press Foundation lifetime achievement award winner, and recognized as a "Great Defender of Life" by the Human Life Foundation in 2005. 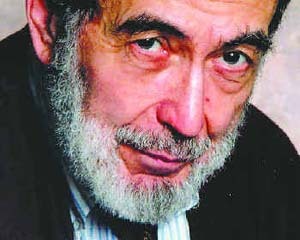 Rest in peace, Mr. Hentoff. You paved the way and you will be deeply missed.